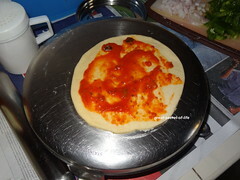 Due to the fear in using yeast I have been keep postponing the making of pizza base at home. Kids love pizza. My first son was asking for Pizza for so long. He will be in boarding school this term so these few days catching up with his favourite food. Since Pizza was in long wish list I have decided to try it out. It came out wonderful. 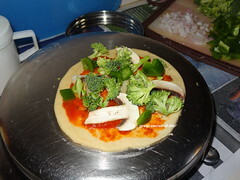 He was commenting that I can make home made pizza base here onwards...The size of the pizza is personal serving size and I got about 4 Pizzas. 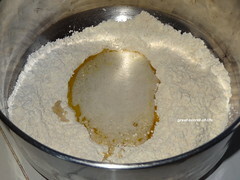 Take the flour in the broad vessel. 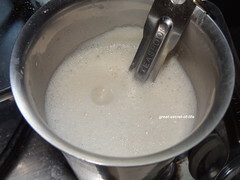 Make a dent and add oil to it. 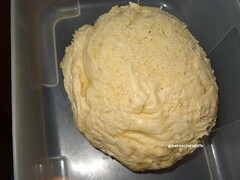 Add yeast mix and make smooth pliable dough by adding water little by little ( I added about 3 tablespoon of water). 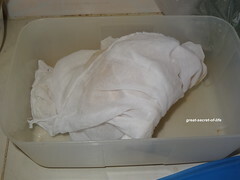 Cover the dough with wet cloth and keep it closed in warm place for an hour. 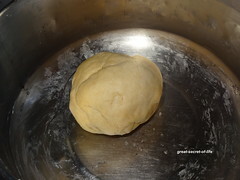 The dough would double up by this time. 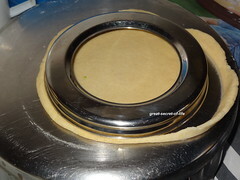 Roll out the dough and cut into desired shape. The thickness of the base completely up to you. I prefer it to be thinner. Apply sauce on the top. 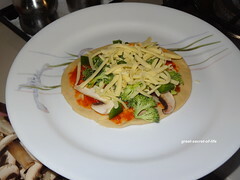 And add vegetables and sprinkle cheese. 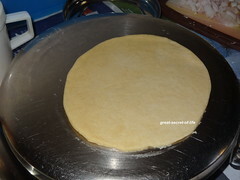 Pre heat the oven at 180 degree C. Once done place the pizza and bake it for 12-14 mins. 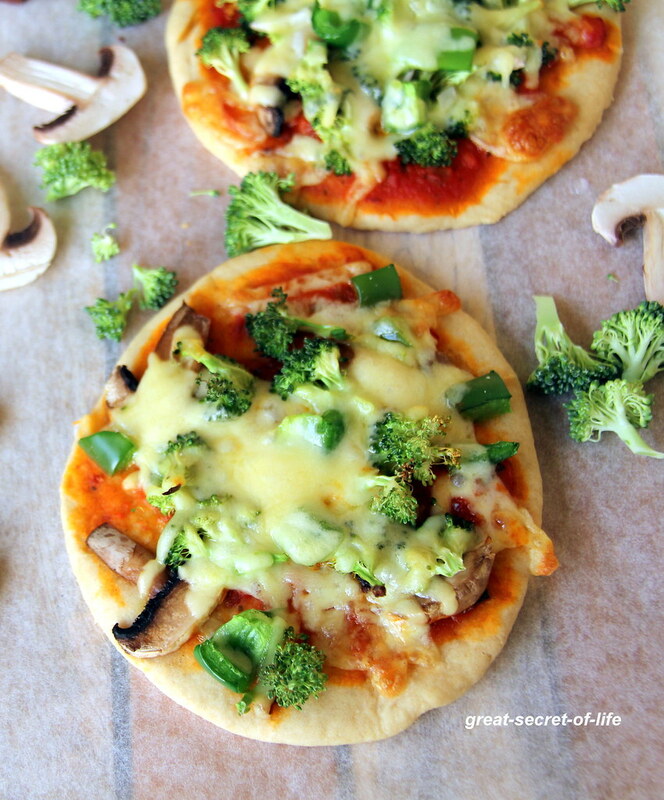 Lovely pizzas :) looks so yum. 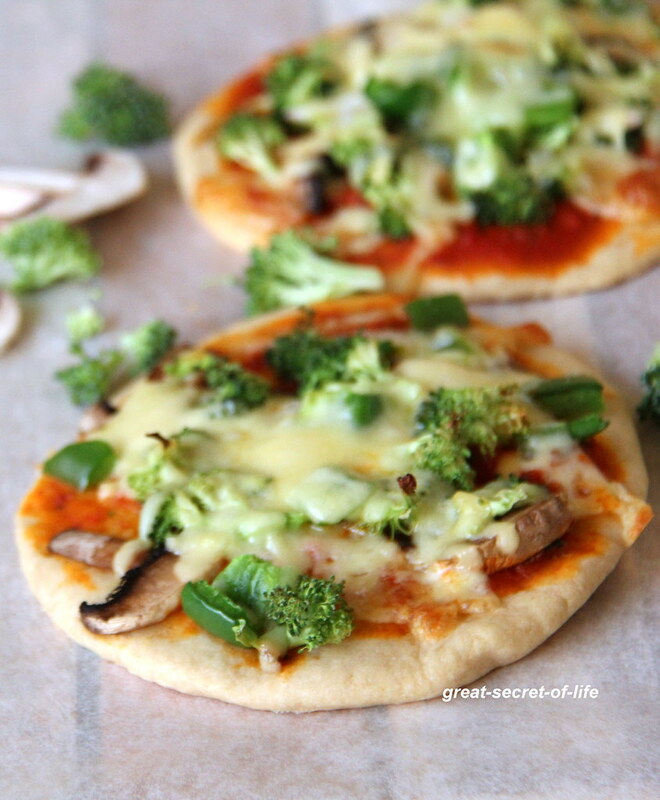 Tempting Pizza - our all-time fav. 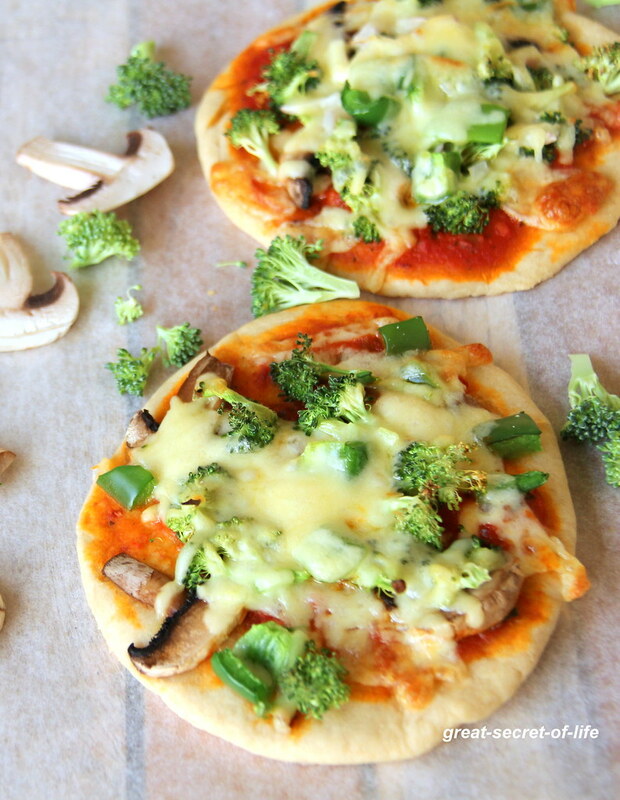 The melting cheese on pizza is simply making me hungry. Wow! love it! 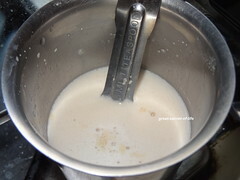 soo cheesy.. yumm..